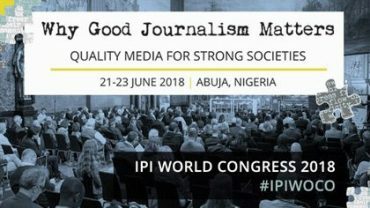 On June 23rd, Chioma Agwuegbo and Ahmed Rufai Isah will facilitate a conversation at the International Press Institute’s World Congress in Abuja, Nigeria. The panel will feature the MacArthur Foundation’s investigative journalism grantees and explore innovative funding models for newsrooms to ensure journalism’s sustainability and independence. Follow the event on Twitter with #IPIWOCO.